As the heartless, digital tendrils of Smartphone Life® creep into more and more facets of our daily existence, it was inevitable that apps and wearables would soon make their way into the bedroom. From sleep health sensors to sleep tracking apps to computer-controlled robot pillows which “breathe” users to sleep, Big Tech is now raking it in on the sleep products market, no doubt helped by the epidemic of nighttime smartphone use which has ravaged the sleep habits of millions of people of all ages. In order to combat this epidemic in children, one software developer has released a bedtime story apps it claims can help children fall asleep faster. 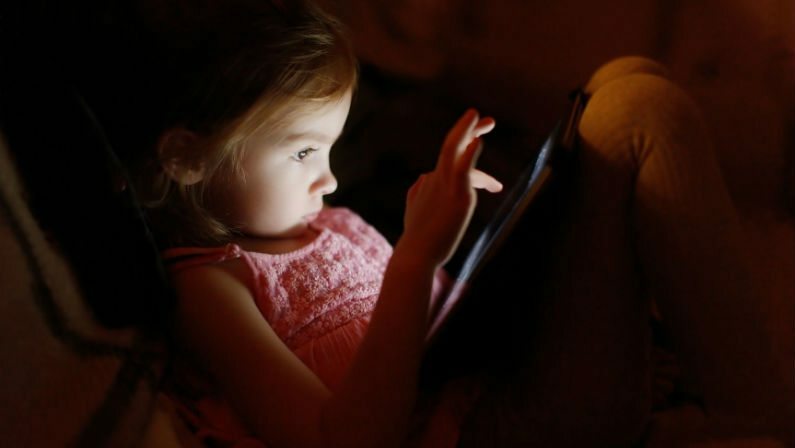 Is technology and bedtime ever a good mix for children, though? The new bedtime app is called Moshi Twilight Sleep Stories and features what it describes as a calming mix of languidly-narrated children’s stories, relaxing electronic music, and soothing melodies which help kids drift off to sleep more quickly. While giving a smartphone or other device to a child immediately before bedtime sounds like a terrible idea, many parents claim the app actually works as promoted. We understand the challenges faced by millions of parents every day in getting their kids to sleep. Our Sleep Stories have been created to support bedtime routines alongside the traditional bedtime story, to be played once children are ready for lights out, to calmly lull them off into a peaceful sleep. Would you hand your child a smartphone before bed? I know I wouldn’t. Still, if they’re going to use them, they’re going to use them. I can see how these apps – if well-designed – could help some children settle and calm down at nighttime. Until their parents turn away for a few minutes and the kids figure out how to open Minecraft, that is. Let’s call this app for what it is: a game.